Focus: This unit continues the exploration of ancient civilizations begun in the Grade 1 CKHG unit about ancient Mesopotamia. Students will study the geography of Egypt, specifically the Nile River, as well as the culture and beliefs associated with the ancient Egyptians. Students will learn that in ancient times, Egypt depended on the yearly flooding of the Nile. The Nile valley provided abundant resources that allowed the culture of ancient Egypt to flourish, and this civilization became known as the “gift of the Nile.” Students will also explore who the pharaohs were, as well as the lives of everyday people in ancient Egypt. They will learn about the pyramids and the mummies buried there, about gods and goddesses honored by the ancient Egyptians, about the Egyptian writing known as hieroglyphs, and about the famous pharaohs Tutankhamen and Hatshepsut. In Ancient Egypt’s seven chapters, students will come to understand that the ancient Egyptians built a complex and stable civilization that lasted for more than three thousand years. CKHG Grade Levels: CKHG units are correlated to topics at the grade levels specified in the Core Knowledge Sequence, which allows students in schools following the Sequence to build knowledge grade by grade. In other settings, individual CKHG units may be used as supplemental resources. In general, the content and presentation in the CKHG units for Grades K-2 are appropriate for students in the lower elementary grades. The Ancient Egypt Student Book is intended to be read aloud by the teacher as the students look at images on each page. We have intentionally left the pacing and timing needed to teach the content presented in the Teacher Guide and Student Book very flexible. 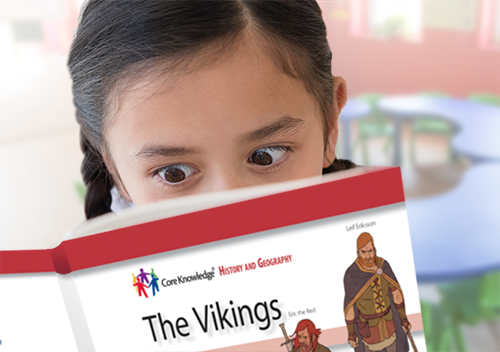 Teachers can choose how much they read aloud and discuss in a single instructional period, as well as how often each week they use the CKHG materials. 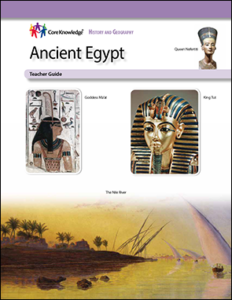 Teacher Guide: Ancient Egypt The Teacher Guide provides detailed lesson plans for each Student Book chapter, as well as activity page masters, assessments, additional activities (such as virtual field trips, simulations, or literary selections), and civics and arts connections to reinforce the lesson content. Student Book: Ancient Egypt CKHG Student Books offer engagingly written and richly illustrated text on the topics specified for the unit. 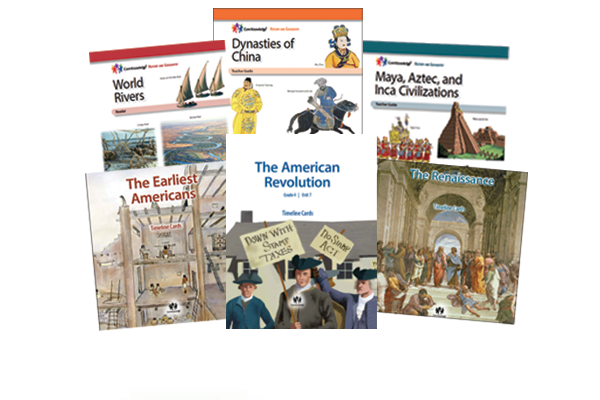 The Student Books include maps and full color images. In general, the content and presentation in the CKHG K-2 units are appropriate for students in lower elementary grades.